Life is consistently chaotic during the holiday season. From frantically trying to purchase gifts for your seemingly multitude of family members to finding the time to creatively decorate your living space to produce a festive home to boast about, it just never ends! On top of the overloaded schedules, it is mandatory that we find time to maintain our beautiful, plump skin during the dry, winter months. But don’t fear, your winter skin care needs are here! Of course, it is imperative to keep our skin care routines as easy and affordable as possible, after all, we’re already spending a fortune on gifts and necessary items around the holidays. Here is the routine that I use religiously during the dryer months to preserve my glowy skin. The most crucial step I add to my skin care routine during the colder months is cleansing with a facial oil before anything else! I incorporate this step before washing my face with my actual facial cleanser. Adding this step in before cleansing just ensures to control your natural oils and will not strip them from your skin, we need all the hydration! My absolute favorite cleansing oil is the Pure One Step Camellia Cleansing Oil by Tatcha. This cleansing oil is bomb! It is a very lightweight oil that gently melts away any impurities left on the skin after a long day of work. This oil also smooths away any leftover makeup or dirt on the skin for a natural, silky soft canvas. You will feel hydrated and refreshed after using this oil and ready for the next step! During the winter months I refrain from any harsh facial cleansers as much as possible! In the spring and summer months I will go ahead and use a stronger soap to rid any extra oils but using the same cleanser in the dryer months will be too harsh and ultimately leaves your skin feeling parched. My Vanicream Gentle Facial Cleanser is my one true love during the winter. This cleanser is intended for sensitive skin and is free of common chemical irritants such as dyes, fragrances, lanolin or parabens. Vanicream is extremely lightweight and natural and never strips your skin of any natural oils, which are essential! It also works to improve your dry skin and even helps with eczema, psoriasis and winter itch. This cleanser is a must have! Next and definitely one of the most vital steps during the winter is a hydrating face mask. 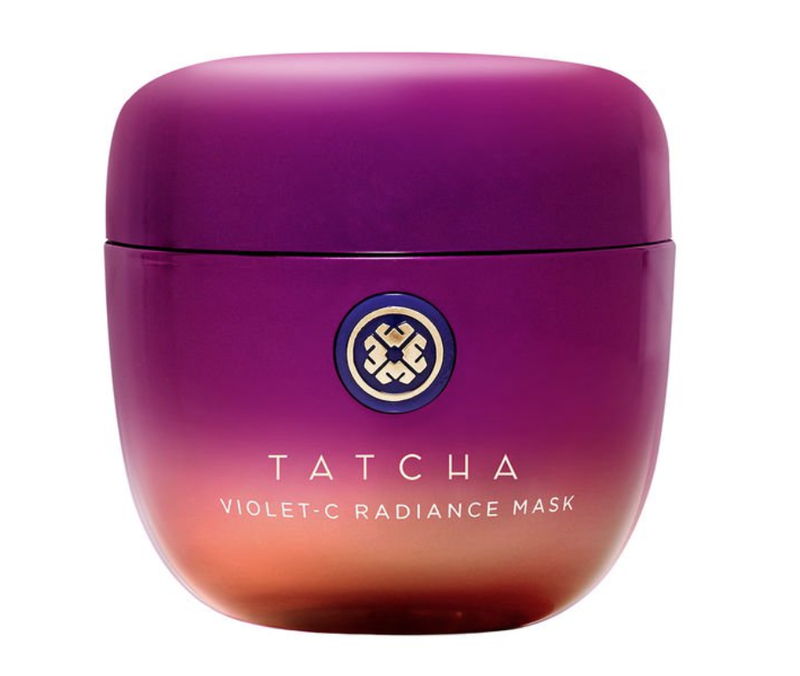 I refuse to use anything but the Violet-C Radiance Mask by Tatcha. Tatcha is absolutely one of my favorite skincare brands during dryer months! This mask is a beautiful, luminous purple color which makes your routine so much more enjoyable. I use this mask twice a week and it unquestionably improves my skin texture and radiance. It is a creamy anti-aging mask, infused with Japanese beautyberry and 2 types of Vitamin C extracts. Vitamin C is exceptional in reducing dark spots and undoubtedly brightens your skin’s appearance. The Violet-C mask also encompasses 3 superfoods to reveal smooth, youthful skin. This mask leaves your skin soft, plump and glowing with health! Adding a hydrating moisturizer to your daily routine in the winter is essential! My all time favorite moisturizer is the Ultra Repair Cream Intense Hydration by First Aid Beauty. This product is thick and has a whipped texture that is instantaneously absorbed into the skin without leaving you with a greasy feeling. You can also enjoy the Antioxidant Boosters and Shea Butter that Ultra Repair Cream has to offer, which help moisturize and protect the skin barrier. If your skin is ever feeling parched or flaky, just add some Ultra Repair Cream and you’re good to go! Last, but certainly not least, I incorporate a facial spray to my routine to lock in all that moisture. I absolutely love the Aloe, Herbs and Rosewater by Mario Badescu. This spray is so refreshing and hydrating. It has herbal extracts and rosewater which are amazing for the skin in combatting dehydrated, flaky skin. I never leave the house without spraying this bad boy all over! Throughout the whole year, especially in winter months, it’s imperative that we practice a steady skincare routine to keep our skin looking healthy and refreshed. These are my top 5 suggestions, but ultimately you have to do what works best for you! Don’t fear change, it’s always acceptable to switch up your skincare products or routine depending on the season.